The clinic serves residents of Leixlip, Celbridge, Lucan, Maynooth, Dublin and all surrounding areas. It is well established and has been in business in Leixlip for over twenty years. It is run by Myles Wray, Chinese Medical Consultant. 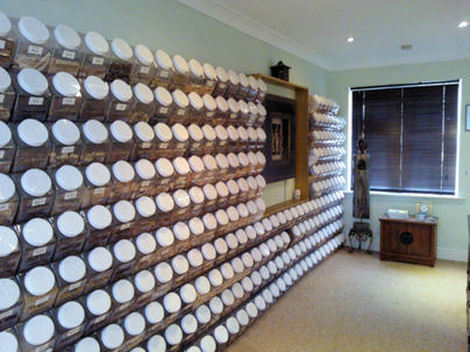 He is one of only a few practitioners in the entire of Ireland who are fully and legitimately qualified in the four main areas of Chinese Medicine. Which are Acupuncture, Chinese Herbalism, Medical Qigong and TuiNa Medical Massage. He has over eleven years of education and training in these areas and has over twenty years of experience in using each of them for treatments. He is also the author of the two published books - "Superior Health : The Secrets Of The Chinese And Eastern Way" and "Chinese Medicine Can Help You Beat Cancer". 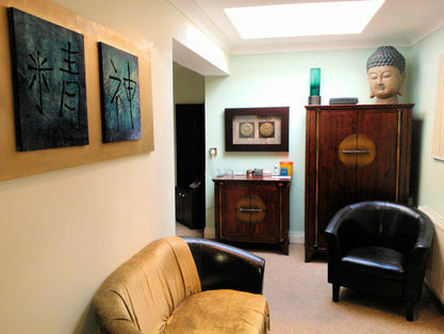 At the Leixlip Clinic, Acupuncture, Herbs and all other Chinese Medical Therapies are available for treatments. The clinic is set in a peaceful, spacious, warm and relaxing environment. Clients can relax and are made as comfortable as possible during treatments, gentle and calming music is played softly in the background. The clinic incorporates the latest in infra-red heating technology and ionizing / ozonating systems. These infra red systems emit penetrating therapeutic healthy heat which aids in healing. The ozonator and ionizer help to clean and charge the environment, filling it with healthy ozone and beneficial negatively charged ions. Treatments (by appointment only) are available from Monday to Friday, between the hours of 11am to 10pm. And Saturdays, between 10am and 3pm. Myles is a member of the Traditional Chinese Medical Council of Ireland and The Acupuncture Council Of Ireland. His Acupuncture treatments are covered by all major health insurance companies. If you have health insurance then you can contact your company and find out how much your policy will allow you to claim back for treatments.